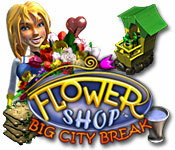 Flower Shop - Big City Break is rated 3.3 out of 5 by 4. Rated 3 out of 5 by ElizabethR1533 from Okay A reasonable TM game that could been improved with a few tweeks. Positives: Pretty, colourful graphics Enjoyable theme Negatives: You can only carry one thing You can't water or fertilize more than one plant in a row Slow machines/Slow growth A few tweeks could make this better: Being able to buy upgrades or automatic upgrades, so you can do more than one thing or carry more than one thing at once would greatly improve this game. It's annoying that you have to keep going back and forth, over and over, there and back to the watering can/fertilizer/wrapper. It would be much better, and quicker if you could do more than one action at a time, so you can water/fetilize more than one flower at a time. Being able to start on wrapping another flower/flowers when you pick the other wrapped flowers up. If not, more than one flower wrapper. Being able to carry all the flowers, if they're ready, to the wrapper. More flower pots. 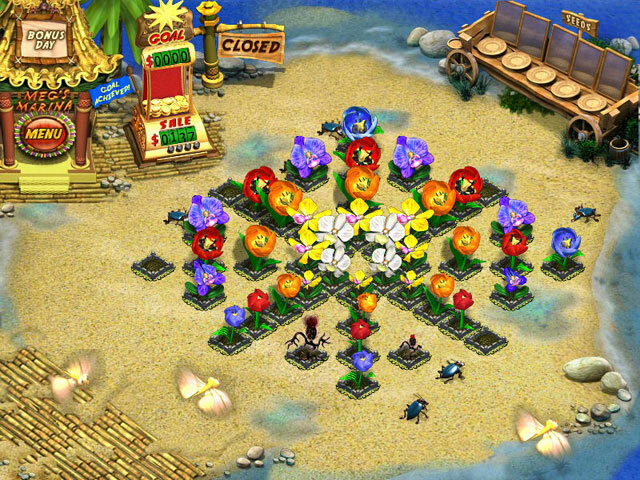 How are you supposed to get 5 stars on the customers, when they literally come immediately, and you it's impossible to grow the flowers they want immediately because you a) Don't know what they want b) Don't have enough flower pots c) Don't have time to even guess or anticipate as you don't have the *time* to guess before they come, as they come immediately It's a great shame, as this game could be improved quite easily. But, as it is, the petty annoyances really slow the game down, and I don't actually know how I could in any way, speed up! 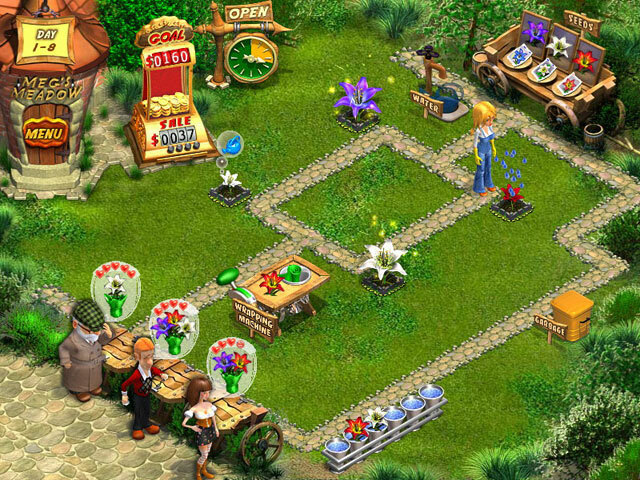 Rated 3 out of 5 by jackfaithsmom from Just OK TM game TM games are definitely my cup of tea, but this one was just ok. You grow flowers and prepare bouquets for customers, earning money and hopefully your goal. The thing I didn't care for was there was little to no instruction on how to make chains for extra points. Also, there was no place to buy upgrades or additional equipment as there is in most TM games. You just had to stick with what you had. It made it really difficult to achieve gold on many levels. Not a buy for me. Rated 3 out of 5 by Discordia from Monotonous A bit monotonous and not really that much fun. 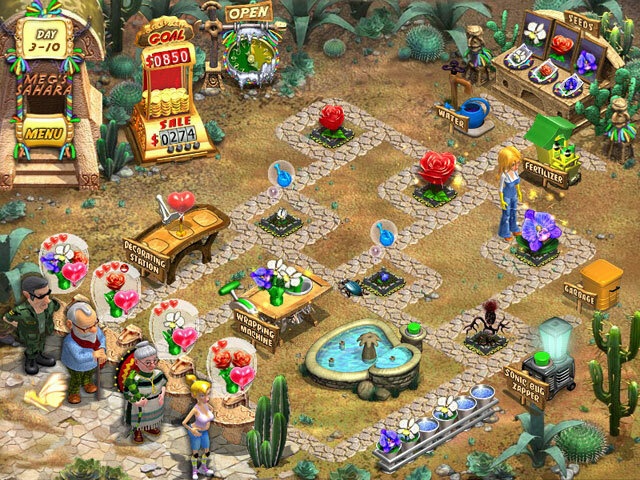 Help Meg's small flower shop blossom into success and keep customers happy in this enthralling action puzzler.